Wick Town Hall packed as businesses and councillors gather to discuss ambitious town centre regeneration vision. More than 50 retailers and business owners attend presentation and discussion session in Wick Town Hall, hosted by all four ward councillors. Councillors unveil three-part draft strategy to tackle derelict buildings, deliver flagship development, improve built environment. Things are gearing up for Green Health Week. Moray Firth Radio will be running a radio campaign starting on the 22nd April so listen out for it! Either side of that MFR are running a photography competition. It will run for 4 weeks and is hosted on the MFR webpage. MFR have a few suggestion and ideas for outdoor places to go. 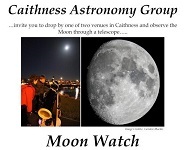 So get cracking with some Caithness places and enter the competiton. 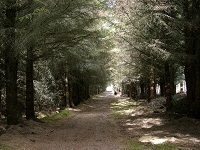 Anyone can enter by sending a photo online a favourite outdoor space for 4 weeks. On Saturday 13th April 2019 Francis Street Bowlers made three generous donation to local groups. A day spent playing bowls at the opening day of the season at Thurso Bowling Club was followed by a buffet tea after which they presented the cheques. The apointed contractor for the upgrade of the Berriedale sectionof the road is R J McLeod and they have issued the first in a series of newsletters as the main works are to begin very soon. Berriedale Braes is located north of Helmsdale and south of Dunbeath on the A9 trunk road in Caithness and forms part of the strategic roads network north of Inverness. The existing A9 at Berriedale Braes includes a tight hairpin bend northeast of Berriedale in order to negotiate steeply sloping topography. The existing hairpin bend on the A9 at Berriedale Braes entails that two HGVs travelling in opposite directions cannot pass on the hairpin bend, as one vehicle requires the use of most of the carriageway to successfully negotiate the bend. This existing substandard geometry is a safety concern and accident records indicate a near miss where an athletics bus collided with the barrier. Wednesdays - 10am - 2.30pm May 22nd, 29th and June 5th, 12th, 19th, 26th. The most vacancies ever in our jobs section with many positions currently available in Caithness and Sutherland. The holiday season has begun and hotels and catering places are looking for staff. The health service and care sectors along with many others are advertising. Many indivuals positions with a wide range of employers so check them out if you are looking for work. For employers it is free to advertise in our forum - just join the forum and post your vacancies. Free for all to see. The Reverend Deacon Jacques Cooke born 16 December 1924, Roubaix, Northern France: died 25th March 2019, Inverness. James Cooke was the second of five children born to British father (John) and a Belgian mother (Marie-Louise nee Hollebecq), who met on the evening of the 11th November 1918 and married in June 1921. Jacques was born on the 16th December 1924 in Roubaix in northern France, a short distance away from the Hollebecq family home in Mouscron. Jacques Cooke was a nuclear engineer at Dounreay who in 1986 became the first Roman Catholic to be inducted as a permanent deacon in Scotland for over a Millennium. 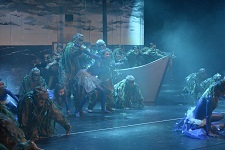 Thurso High took second place at the 2019 Rock Challenge event at Eden Court theatre, inverness last night. Well done to Thurso high. Dinwall Academy took First Place. The themes for the music this year were on wartime tragedies. Thurso chose - Iolaire - 1919. The HMY Iolaire was returning war heroes to Lewis on New Year's Day. During the voyage, the ship struck the infamous rocks 'The Beasts of Holm.' The boat was torn apart and sank. Those that survived clung to masts and ropes to endure the night. More than 200 people drowned, just yards from their home. We will remember them. Inside see the list of all the awards with Thurso high listed on several others. Subsea 7 will be moving three towheads for the Equinor Snorre Project from Wick Harbour to Wester Site in the next 2-3 days. It is planned that the towheads will travel along the route through town as in the photograph. Exact timings will depend on weather conditions and how the Police direct proceedings. High Life Highland today announced a new partnership with four other areas of Scotland that will see highlife members able to access free use of leisure facilities outside the Highland region for the first time since the low cost access card was introduced over 15 years ago. The scheme, involving four other areas will be known as the "Leisure Link Partnership". Believed to be the first of its type in Scotland, highlife members will now be able to access gym, public swimming and fitness classes at leisure facilities across, Moray, Orkney, The Western Isles and Argyll and Bute at no extra cost. The first Norwegian style learning centre in the UK was officially opened in Thurso today Monday 25th March 2019. Newton Rooms are designed to inspire more young people to become interested in Science, Technology, Engineering and Mathematics (STEM), and encourage them to study these subjects in school and beyond. The centre at North Highland College UHI in Thurso is the first of a network of Newton Rooms being created in the Highland region by the Science Skills Academy, a partnership project led by Highlands and Islands Enterprise (HIE) with £3m from the Inverness and Highland City-Region Deal. 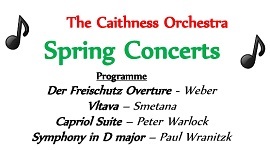 The Caithness Orchestra bring you the chance to hear somce Czech music you may not hear too often these days. Great chance to let chldren attend a live classical concert from local musicians. 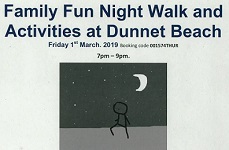 Adults £5 children accompanied by adults FREE. 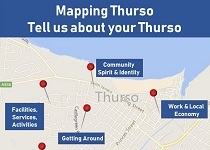 Thurso Development Officer, Joan Lawrie has been running a series of community consultation since taking up post with Caithness Voluntary Group under the Scottish Government funded Aspiring Communities programme in January. Joan has been speaking to users of Ormlie Community Association, Caithness Citizen's Advice Bureau, Thurso Community Cafe and speaking to various groups existing in the town. The key aim of the project is to consult with those in our communities who are experiencing inequality and return this information to the Caithness Community Planning Partnership in order to empower the community in shaping our area from identified priority needs. Restore Digital is a leading independent provider of document scanning, content input, content capture, business process automation solutions, and professional consultancy services. Our customers trust us with their time critical, business critical and highly sensitive data. We have helped NHS Trusts, Central Government, Fire & Rescue, Ambulance Services, Social Care, Nuclear and Police Authorities begin their digital transformation journey and save £millions while protecting against risk. We also offer the largest scanning capacity in Europe. 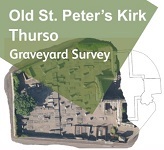 Old St. Peter's Kirk Preservation Association and Historic Environment Scotland are teaming up to hold a two day workshop on how to survey and formally record the graveyard and gravestones. 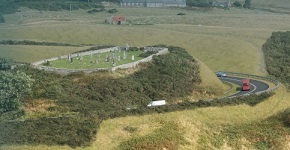 They will also be demonstrating techniques to help decipher faint inscriptions on the gravestones. A great opportunity for any photography or family history enthusiasts! Kellogg's is doubling the number of grants it offers to school breakfast clubs across the UK. The scheme will help to provide breakfast to more than 600 schools in the communities that need them the most. Since 1998, the Kellogg's Breakfast Clubs programme has supported over 3,000 breakfast clubs by providing training, grants and more than 70 million bowls of cereal. Another extract from Hetty Munro diaries first published in the Caithness Field Club Bulletin 2010. Links have been made to earlier extracts. Early in the 20th century, Italian-owned cafes, ice cream parlours and chip shops spread through- out Scotland, run by enterprising immigrants, who saw Scotland as a land of opportunity, at a time when work was scarce in their own country. One family member would come over to Scotland to work here and were then joined by their brothers and sisters. In the case of Cabrelli's this has now reached the third and fourth generations, who now work in the professions so this business, as happened to so many others, has closed down. 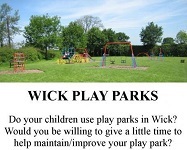 All users of play parks in Wick are invited to a meeting to discuss setting up groups to assist with maintenance and improvement of play parks in Wick. Young filmmakers with a passion for nature are being sought for our new competition that aims to encourage businesses to see the benefits of the natural world. We have joined forces with the Scottish Forum on Natural Capital (SFNC) to help promote why businesses should care for and invest in nature. Rebecka Bergh, who is helping to organise the competition, explains all. Businesses depend on nature for resources like timber or water supplies. They also benefit from a range of services provided by nature, such as pollination of crops and nutrient cycling in soils, or healthy environments for people to live in or visit. A Caithness MS support charity has been awarded £30,000, the maximum award, by the Caithness & North Sutherland Fund. The MS Therapy Centre Wick was given the money to help refurbish its premises in Braehead and create a new community wellbeing hub. The therapy centre is used by people suffering from Multiple Sclerosis and other medical conditions that benefit from hyperbaric oxygen therapy. Treasurer of the MS Therapy Centre Wick, Janet Farrington said, ‘'We have been based at our current premises for over 25 years and the building needs a major refurbishment to bring it up to modern standards. After successfully negotiating an asset transfer with Highland Council last year, we are working hard to raise money for the refurbishment. National discussion paper launched in Orkney. Fisheries Secretary Fergus Ewing has launched a national discussion paper setting out the Scottish Government's vision for the future of fisheries. Mr Ewing is meeting with representatives from the local fishing community in Kirkwall, Orkney, on Monday in the first of a series of similar meetings across Scotland, which will allow individuals, businesses and communities involved in fishing to have their say in what a new strategy for fisheries management should look like. 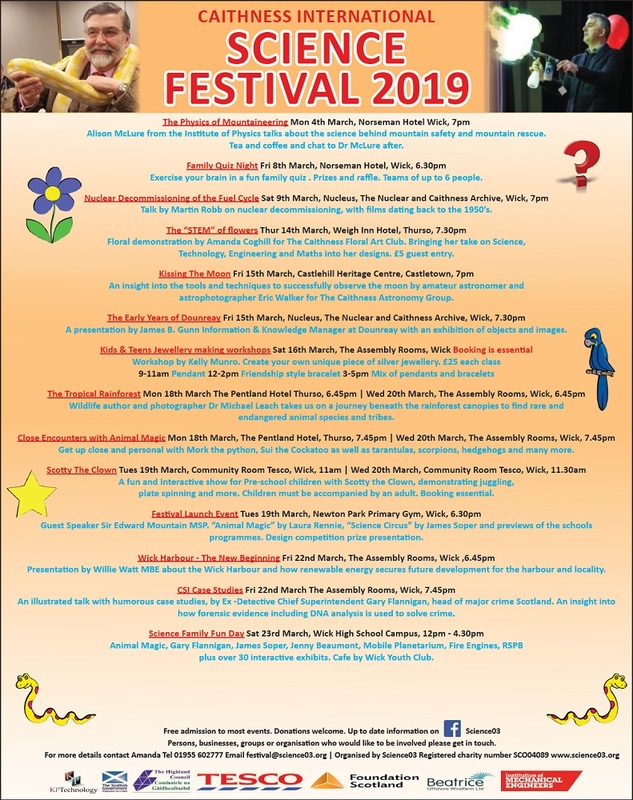 Another Science Festival 4th March - 23rd March packed fullof events and the huge fun day. With visits to all primary schools it is the biggest community organised event that contributes to schools and the public at large. Caithness families will get greater access to support thanks to a new partnership between Police Scotland Highland and Islands Division and Children 1st's Parentline service. Local police officers responding to incidents involving children are letting their families know about the ongoing support that Parentline offers via phone, email, text and online webchat. In December officers in Wick received briefings from Children 1st's Parentline team about the service and the support it provides. As well as telling families about the service, officers are also giving out postcards and other information about how to contact Parentline, if families choose to do so. There are currently 32 Community Fridges across the UK and their numbers are growing. A Community Fridge is open to all and it's key aim is to minimise food waste in a community. Did you know that in the UK it is estimated every household throws away £700-£800 worth of food? That's just households, the levels of food waste from Supermarkets and Businesses is much higher. So imagine...that cheese you bought that you thought you would eat but ended up throwing away, those rolls from the Bakery that are still perfect to eat but they can't put out the next day, that over order on yogurt at the Supermarket - all going to the bin. Unless, there is another solution! Pop it into the Thurso Community Fridge for someone else to get use from. On Saturday 26th January 2019 the Your Cash Your Caithness event was held in front of packed auditorium at the Pulteney Centre in Wick. 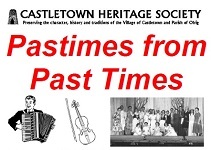 Once again 22 Caithness community groups made presentations with questions from the audience about their many and varied projects listed below. What was evident from the 5th event to disburse some funding with a public vote was the huge variety and commitment of the people who run groups in the county. See inside for the surprise of the day. Check their web site for further updates in coming weeks. If you buy books for children and grand children this might be a very useful guide. To celebrate Burns Night on Friday 25th January, Scottish Blend, a brew specially blended for Scottish water, have teamed up with independent Scottish Bakery, ‘Pinnies and Poppy Seeds' to create five special shortbread flavours. The pubic in Caithness have the chance to decide who gets the cash by voting after hearing short presentations by all of the groups. Presentations are only 5 minutes with some questions after. 22 projects now have a chance to put their idea to the public vote. There is £10,000.00 on offer with applications received totalling £21,075.00. Following the initial application process 22 projects now have a chance to put their idea to the public vote. There is £10,000.00 on offer with applications received totalling £21,075.00. The participatory budgeting event will take place in the Pulteneytown Peoples Project, Pulteneytown Centre, Huddart Street, Wick, KW1 5BA with registration from 9.30 am and will start at 10.00 am until around about 1.30 pm on Saturday 26th January 2019. Events organised by Highlands and Islands enterprise - Book Now. Cyber security is an ever increasing issue, whether it is for us as individuals, part of a Community group or running a business. Highlands & Islands Enterprise digital team are coming up to both Wick and Thurso on the 27th and putting on a Cyber Sense event which will last an hour, it is fun and free so please take the opportunity to book on an event near you. 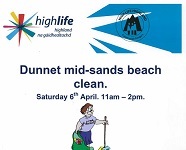 See links to Thurso and Wick events inside. The Highland Council has invited people in Thurso to attend a public exhibition highlighting proposals for flood prevention measures along the River Thurso. The Council is currently developing a Flood Protection Study (FPS) for the River to identify solutions that will alleviate the risk of flooding. An exhibition on Tuesday 22 January from 2pm - 7pm at the Pentland Hotel ballroom, Princess Street, Thurso, KW14 7AA . The Beatrice offshore wind community fund is again open for application from 14th January 2019. The closing date for applications is noon on 25 April 2019. In this round, the overall fund is worth £400,000. With the total fund worth £2,000,000 over the five-year life of the fund. You can apply for funding from £10,000 up to a maximum of £50,000. On 22nd January 2019 the Moray West wind Farm planning application returns to the North Planning committee but merely fro some slight changes to the location of some turbines to lessen the impact on certain views. Scrabster Habour Trust have launched their tendering process for new works at the St Ola pier, dredging, water supplies and other works. The mutli million pounds project will further develop the harbour and add to the works of the last 10 years which have seen improvements to income and continue the expansion of jobs in the area. The consultation is open until 4th February 2019. Planned expenditure for 2019/20 at Dounreay is £185 million. Crimestoppers charity launches campaign to appeal for help in tackling County Lines drug networks. The charity Crimestoppers is on 14th January 2019 launching a campaign to highlight the pain and suffering that criminals from English cities are inflicting on vulnerable people in Scotland's rural and coastal towns. The campaign aims to raise awareness of County Lines, which is when criminals from major cities such as Liverpool, Manchester, London and Birmingham are expanding their drug networks to other areas, bringing with it serious criminal behaviour such as violence, exploitation and abuse. The term County Lines refers to the use of a single telephone number to order drugs, operated from outside the local area. Caithness Voluntary Group, in partnership with Pulteneytown People's Project and Thurso Community Development Trust have been awarded 183,296 to employ the four full-time development workers and a part-time co-ordinator. 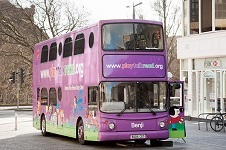 The 12-month project will employ, a community development worker for Wick will be employed by PPP and based at the Pulteney Centre, as will a childcare development worker. The development worker for Thurso will be based at Ormlie Centre and a rural development officer will work from the CVG offices in Wick. 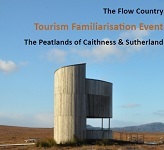 A World Heritage Site in Caithness and Sutherland? The Flow Country currently sits on the UK's tentative list for World Heritage Site inscription, in recognition of its world-class blanket bog habitat and unique assemblages of bird species. A Working Group has been established to put forward The Flow Country's nomination to the UK Government, who will decide if the nomination can proceed to UNESCO. If The Flow Country becomes a World Heritage Site, it will join The Great Barrier Reef and The Serengeti as one of the most important natural sites in the world. UNESCO's World Heritage Site status is considered the most prestigious of all heritage accolades, making it the Michelin Star of the heritage world! In 10 years a few businesses have disappeared from the streets. A walk around Wick harbour yesterday showed a higher number of boats than usual probably due to the bad weather out at sea and the end of the holiday period. The buildings being completely change on the front of the harbour are advancing at a steady rate with many new jobs scheduled to be located there later this year. Meanwhile the new piers for work boats show the huge difference at the habour area. Wick harbour has been turned around in a way no one though possible 10 years ago. Servicing the turbines in the Moray Firth will provide work for many years to come. The old slipway has long gone. May your 2019 be a good one.